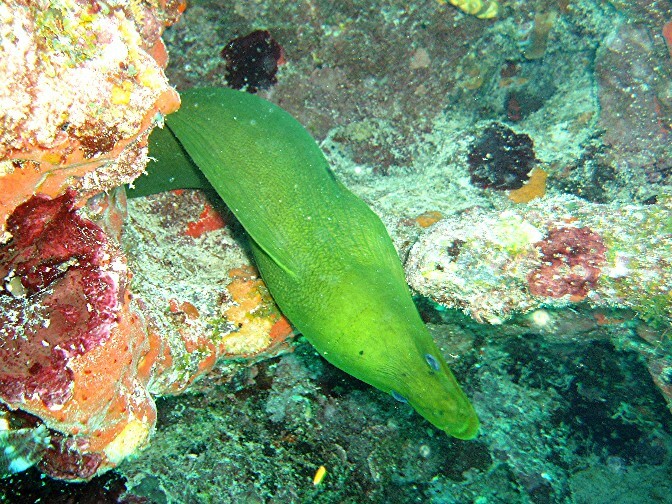 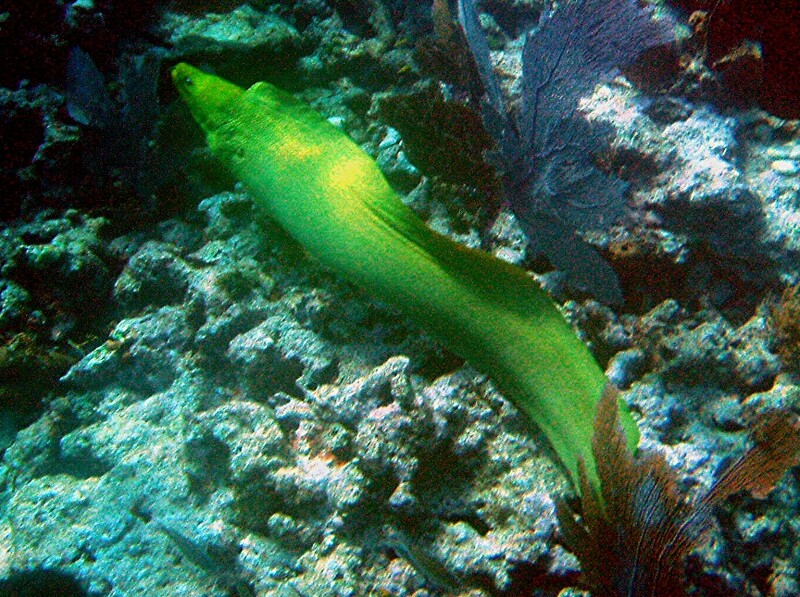 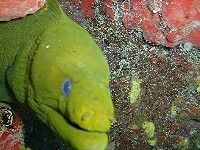 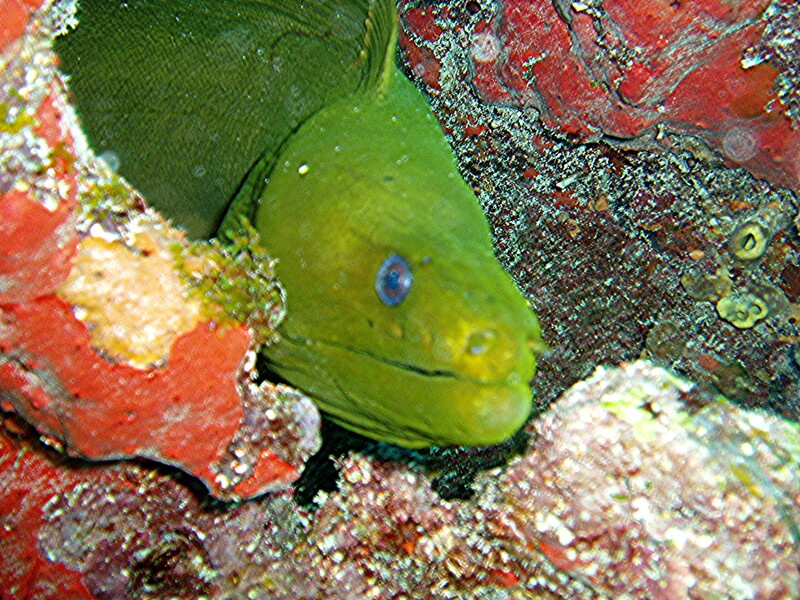 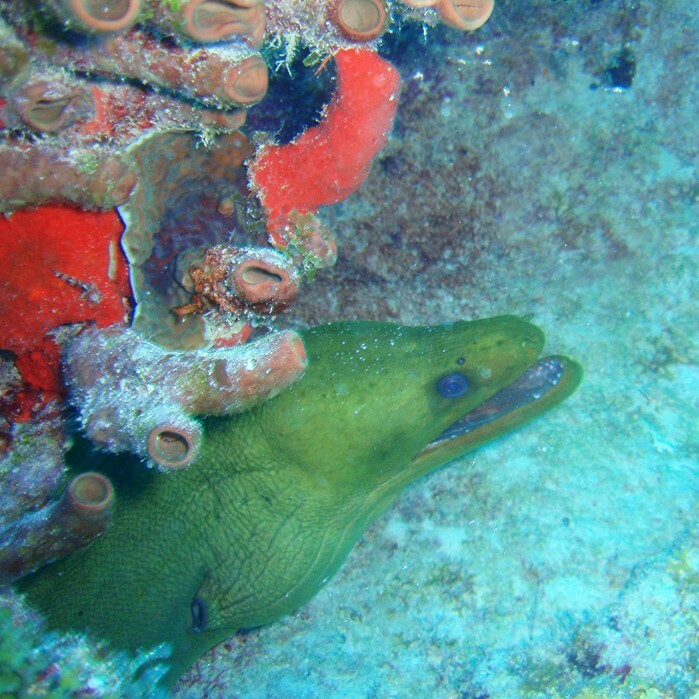 Gymnothorax funebris (moray103b.jpg) This is a Green Moray Eel about 5 feet. 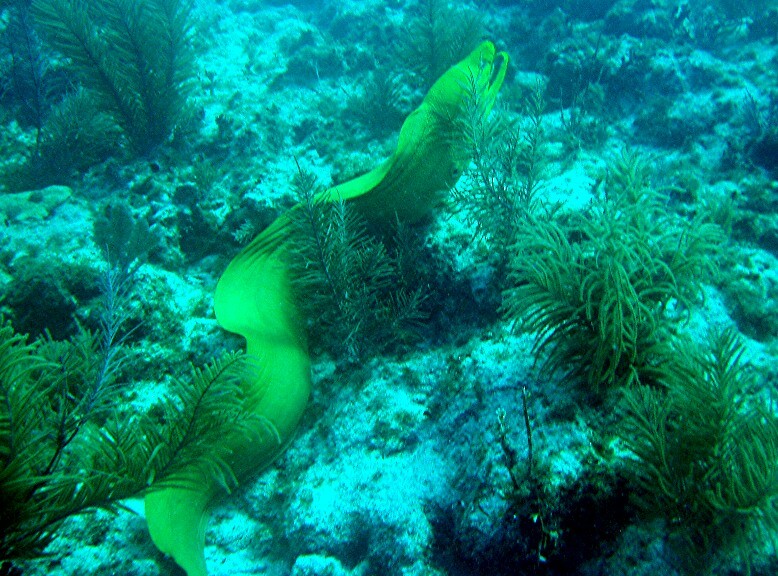 Photo by Rod 25 Feb 04 in about 30 feet water. 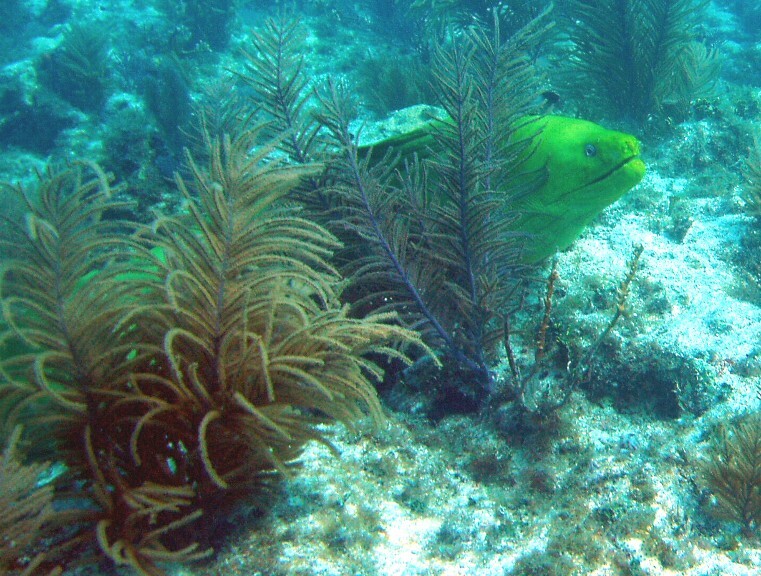 Location was at Snapper Ledge; Key Largo. 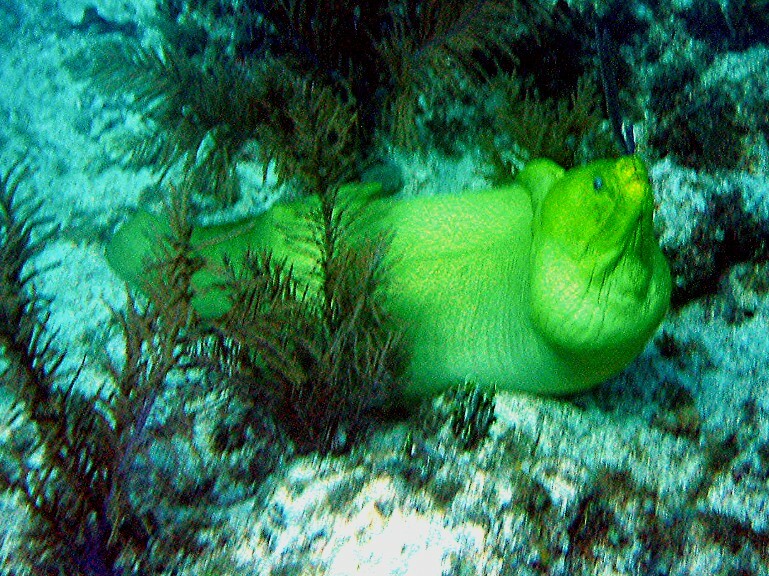 These are underwater photographs I took in February 2004. 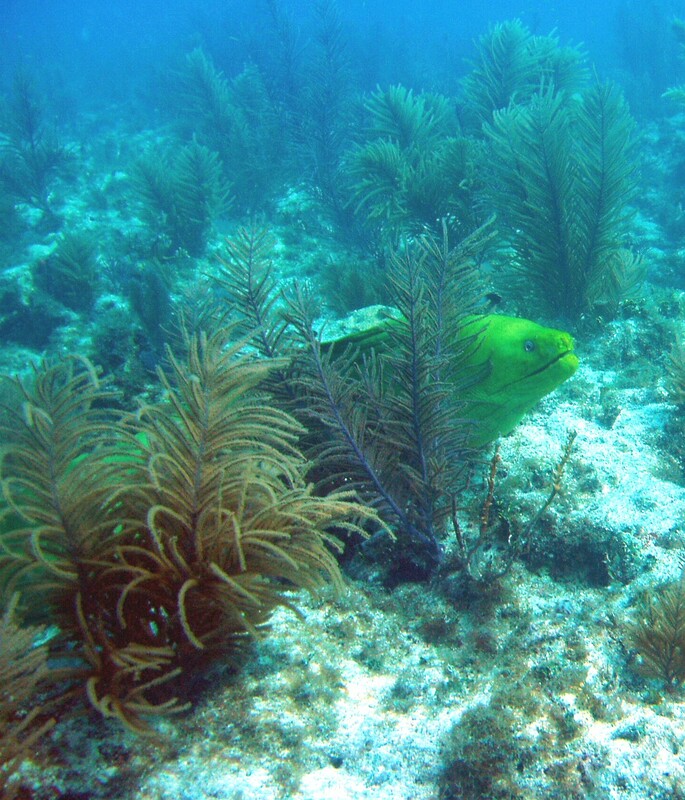 These were taken while I was diving at various spots in Key Largo. 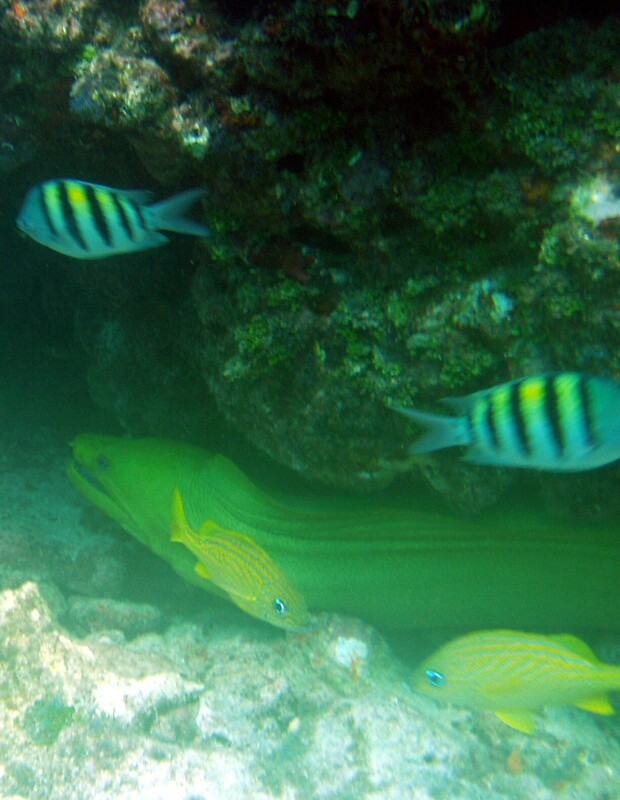 I reduced their size so they would be visible on your screen. 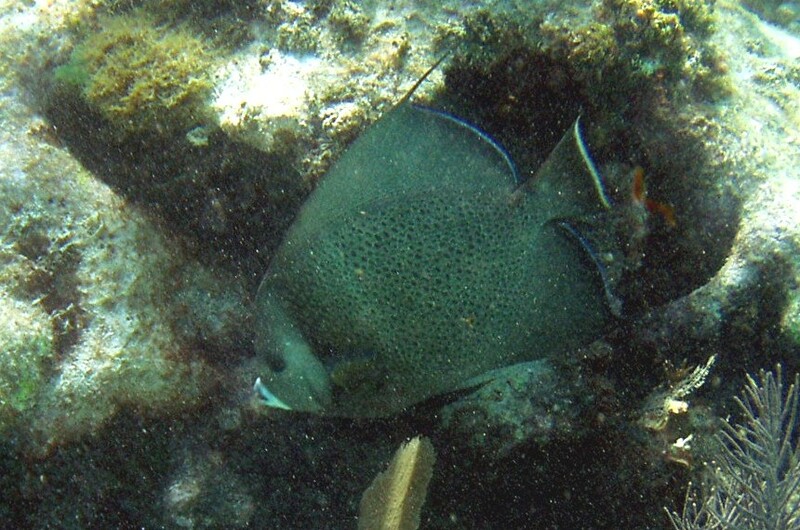 Just click on thumbnail below for 6 x 4 picture, and name for 10 x 8 full size picture or more info. 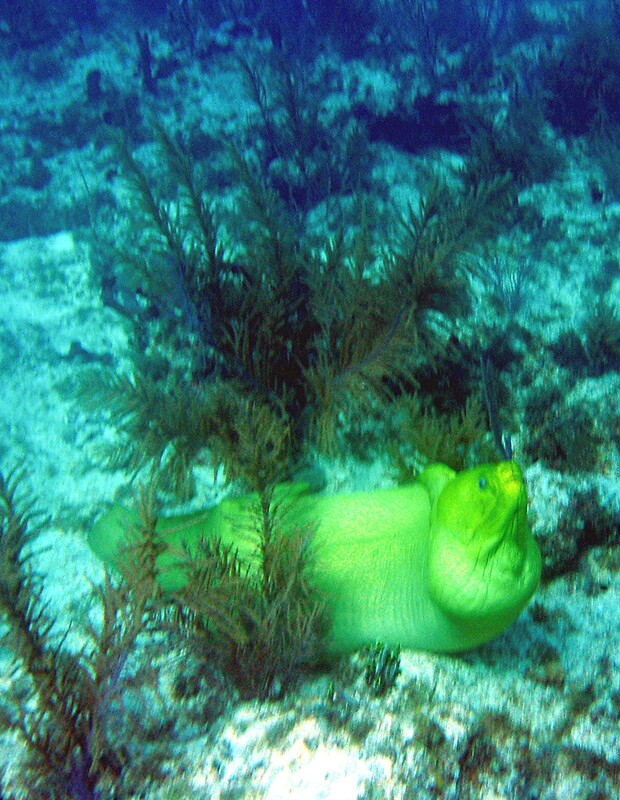 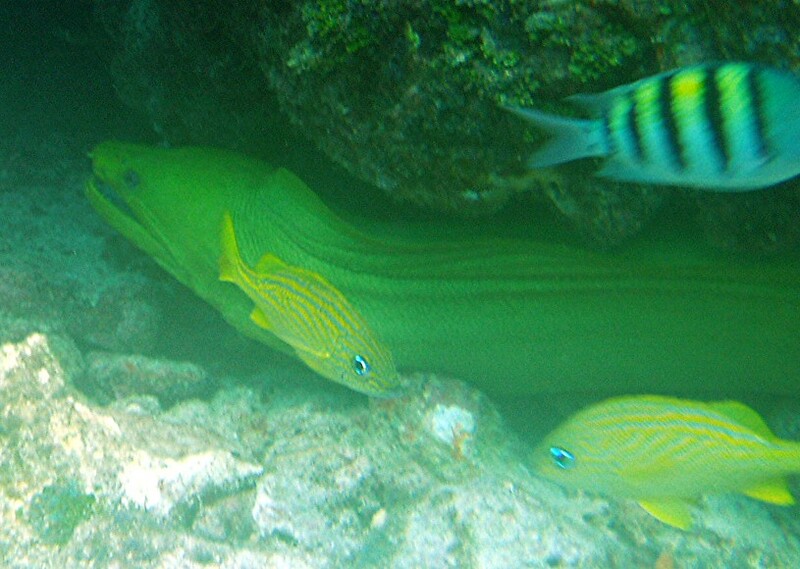 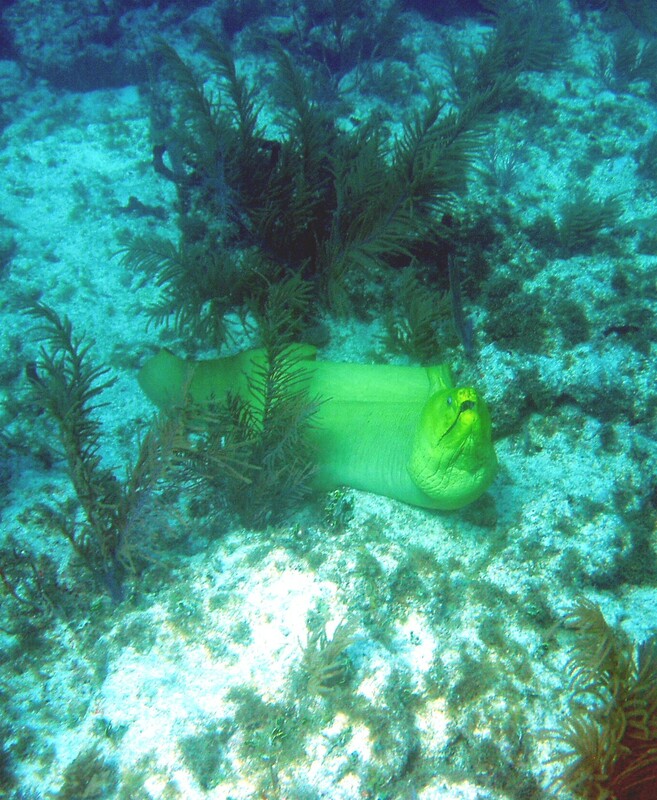 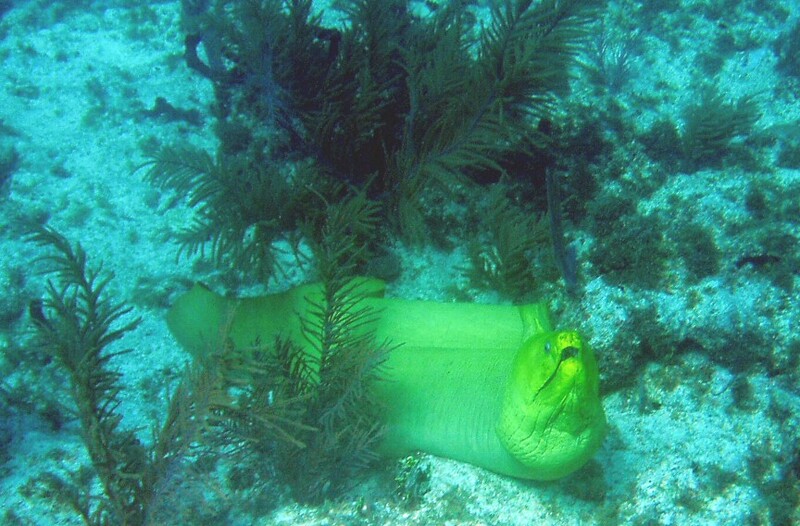 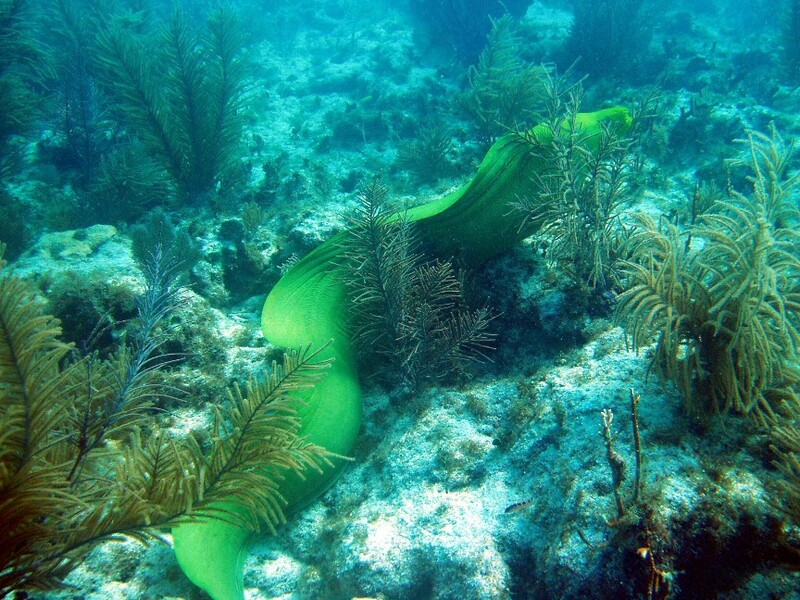 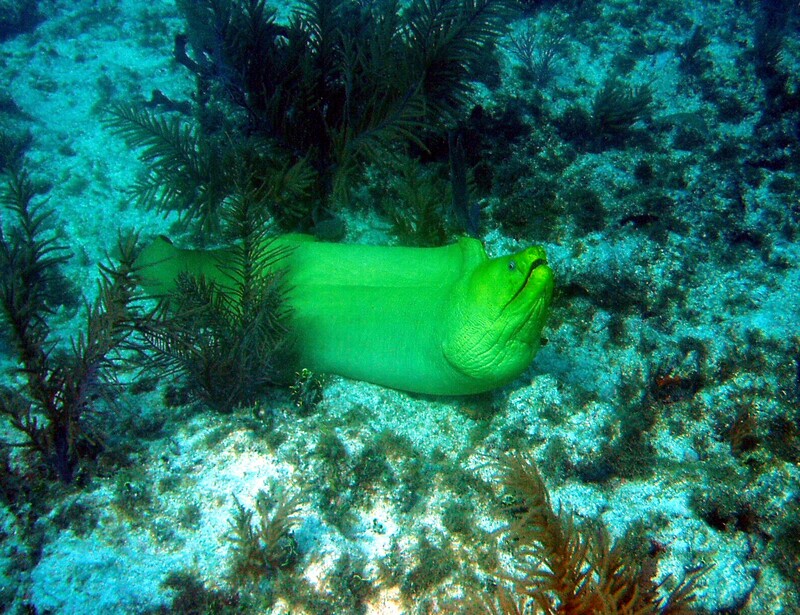 The following are of a Moray Eel I found out in the open, then swimming, and then under a ledge. Size: 3-5 feet; max 8 feet.